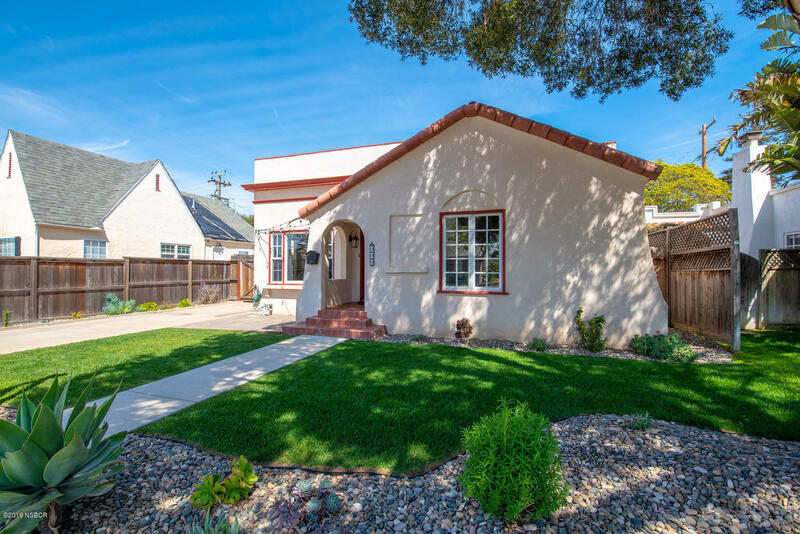 Charming MOVE-IN READY Spanish style home in Santa Maria's Historic Carriage District! This 2 bedroom, 2 full bath home has a bonus room with closet, hardwood floors and tile throughout, a separate dining room and indoor laundry room. The back yard features pavers and a large pergola -- perfect for summer entertaining! There may be room for an RV on the extra long driveway leading to the two-car detached garaged. This house looks like it jumped off the pages of Pottery Barn!